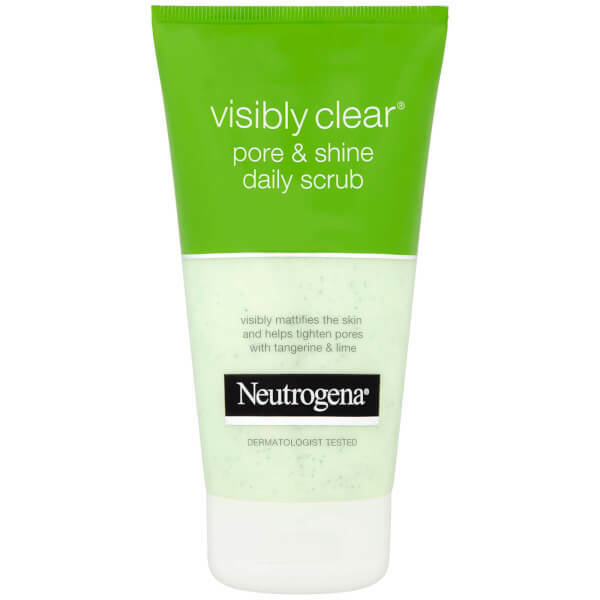 Achieve a visibly flawless complexion with the Neutrogena Visibly Clear Pore and Shine Daily Scrub; a hardworking formula that reduces the appearance of enlarged pores, whilst eliminating unwanted shine. 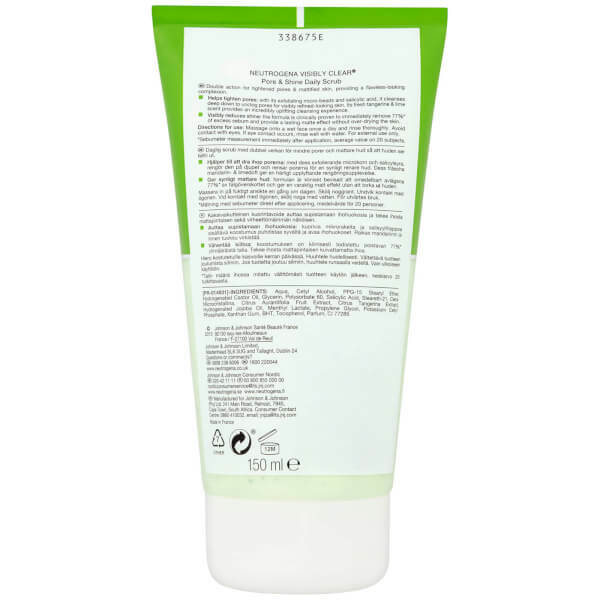 Ideal for oily and acne prone skin types. Enriched with Salicylic Acid and naturally-derived exfoliators, the scrub performs a deep cleanse, which eliminates daily dirt, oil and impurities from skin, whilst unclogging pores and refining the complexion. Removing surplus oil helps to eradicate excess shine from skin, which in turn reveals a healthy-looking, mattified visage, without stripping skin of essential moisture. Complete with a refreshing tangerine and lime fragrance, the scrub is an uplifting addition to any skincare regime. Formulated with environmentally friendly microbeads. Dermatologist tested. Massage onto a wet face once a day and rinse thoroughly. Avoid contact with eyes. If eye contact occurs, rinse well with water. For external use only. PR-014931 Aqua, Cetyl Alcohol, PPG-15 Stearyl Ether, Hydrogenated Castor Oil, Glycerin, Polysorbate 60, Salicylic Acid, Steareth-21, Cera Microcristallina, Citrus Aurantifolia (Lime) Fruit Extract, Citrus Tangerina (Tangerine) Extract, Hydrogenated Jojoba Oil, Menthyl Lactate, Propylene Glycol, Potassium Cetyl Phosphate, Xanthan Gum, BHT, Tocopherol, Parfum, CI 77289.